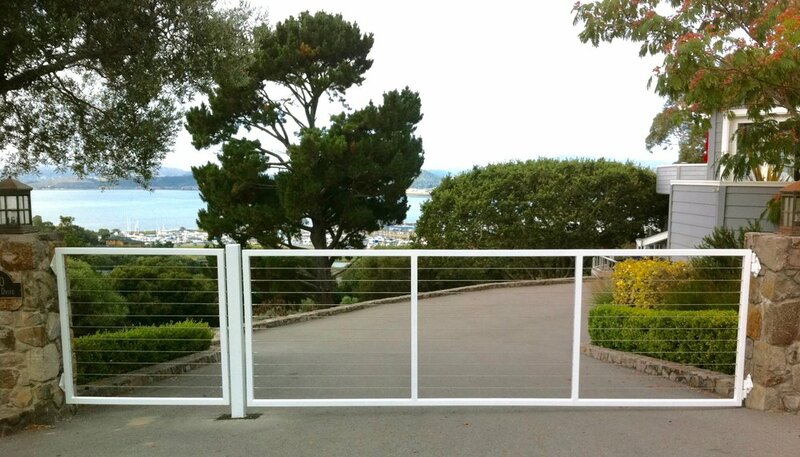 Pacific Circle offers a variety of gates to choose from including Driveway Gates. 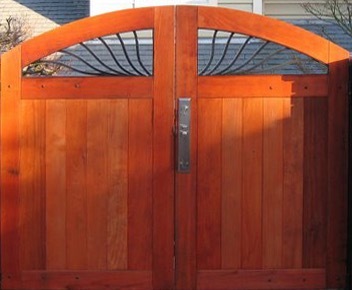 We can build a gate to your specifications or design an original gate for you. 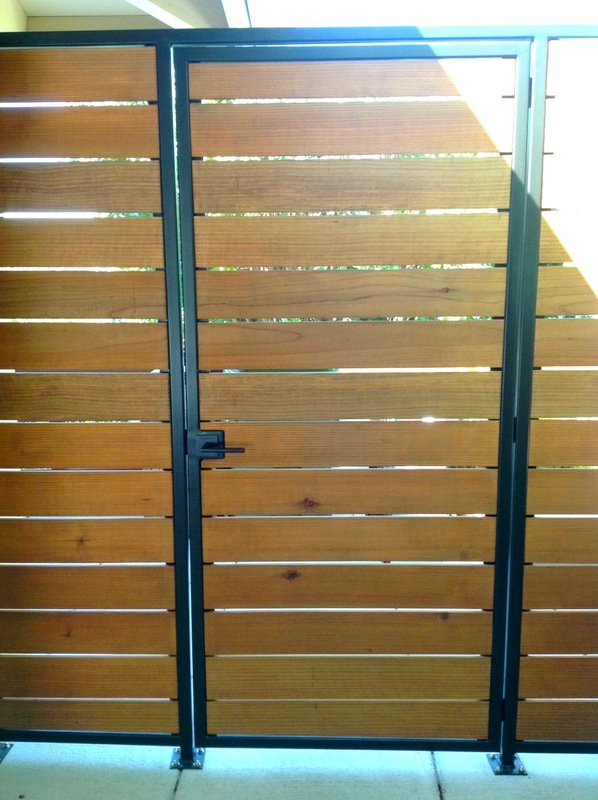 We work in both metal and wood. 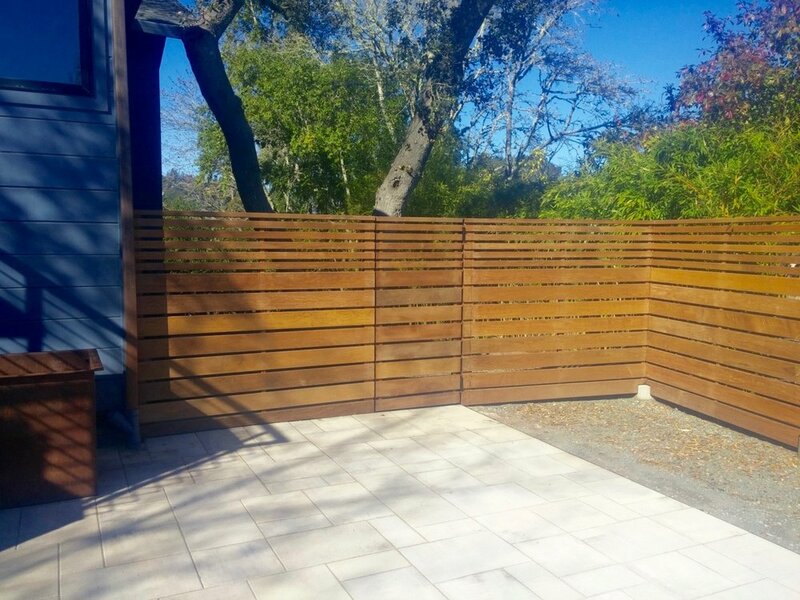 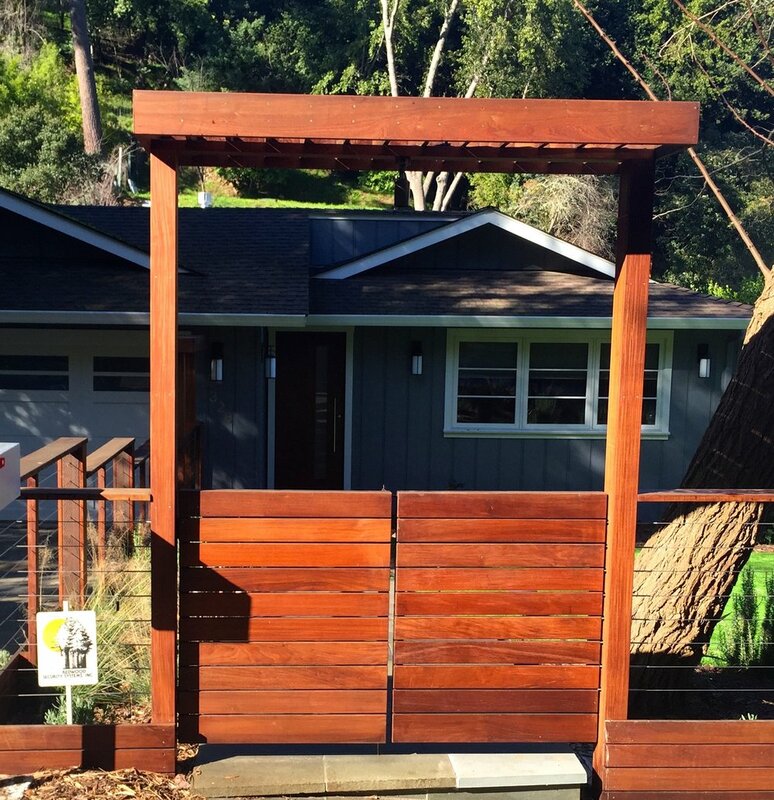 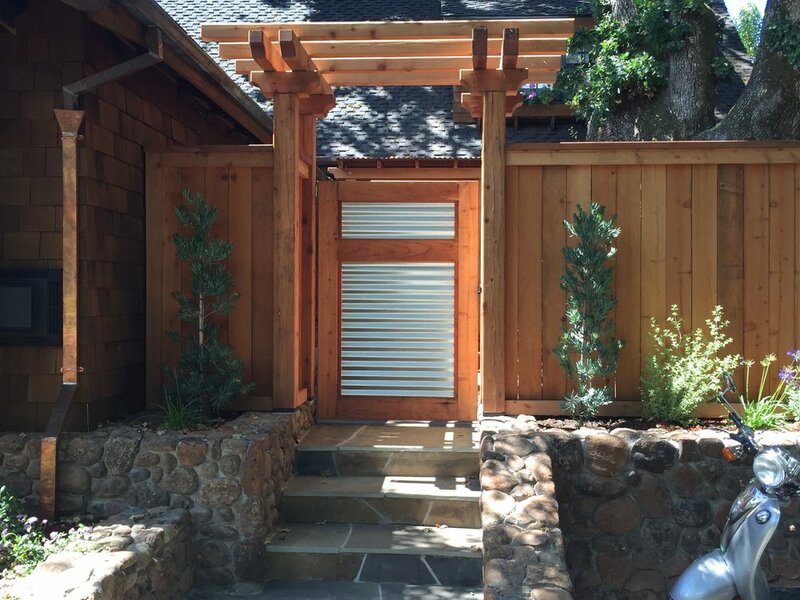 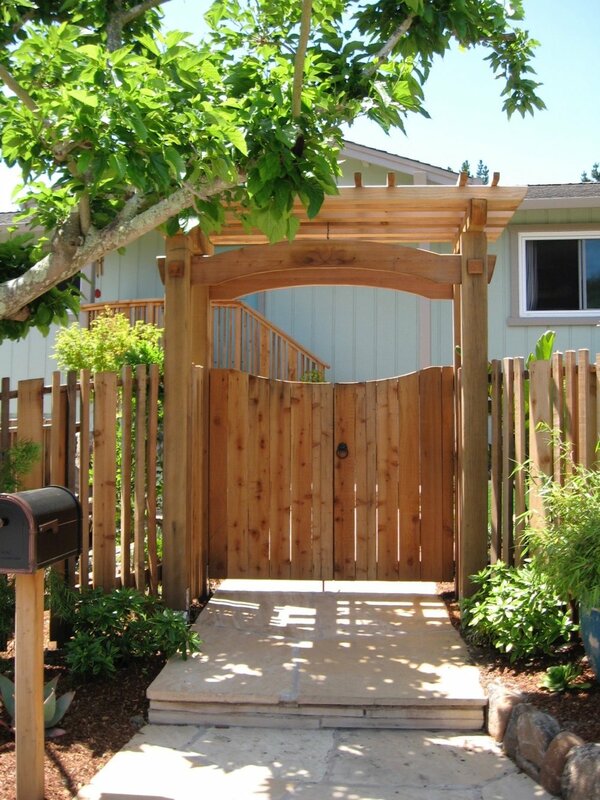 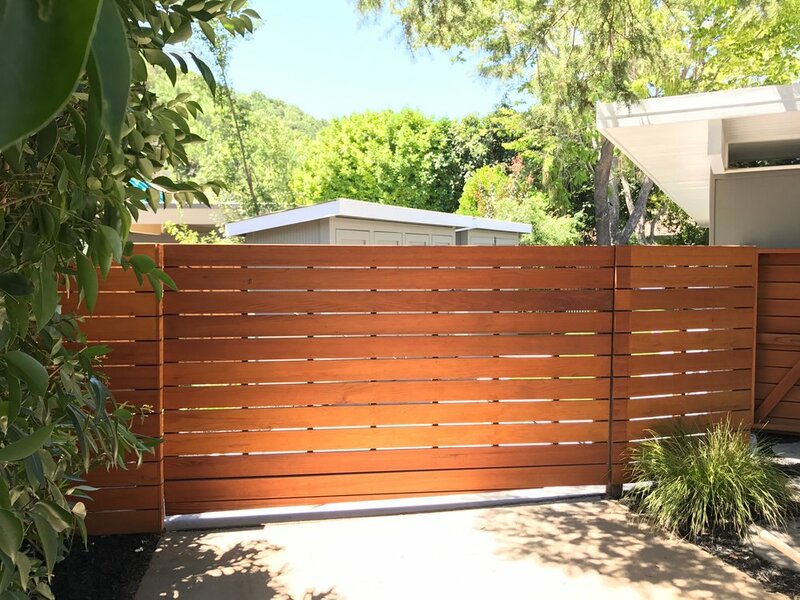 Below are some of the many gate installations we have done in Marin County. 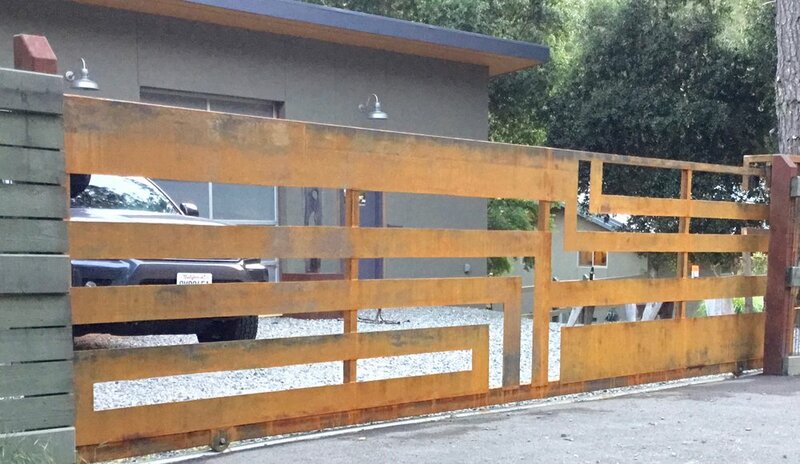 We have a "thing" for gates at Pacific Circle. 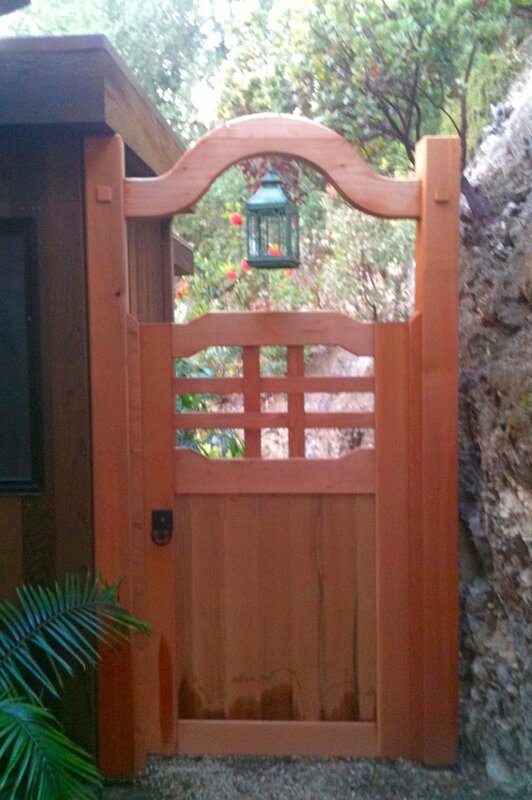 Gates are the portal into your space, often the first thing you see and touch when you arrive home. 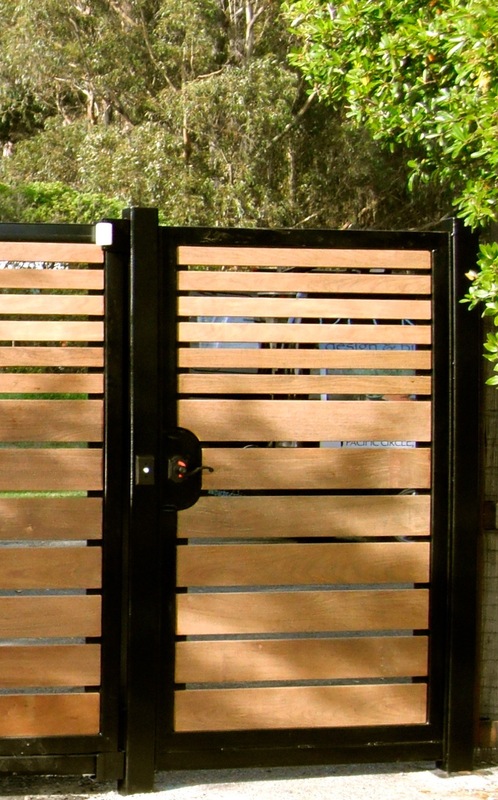 A poorly built gate can be very frustrating when it doesn't close, sticks in the winter or won't stay closed in the summer. 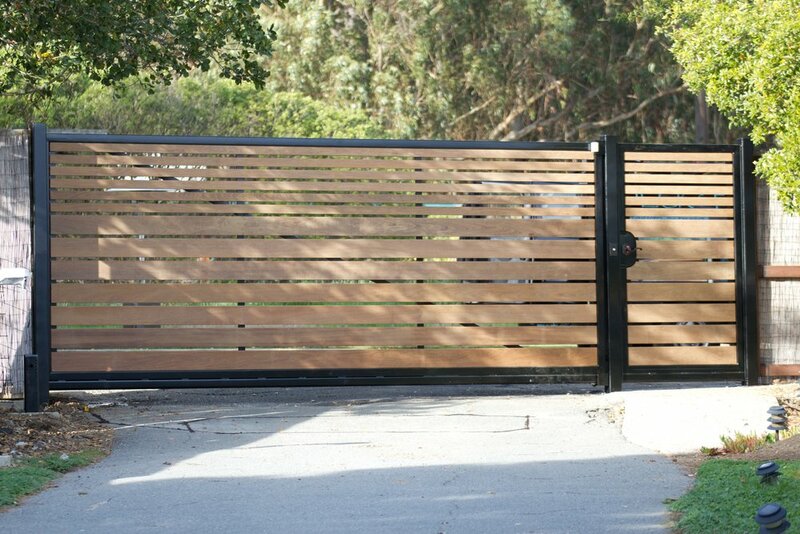 Choosing the right construction materials and hardware selection is paramount to a functional gate. 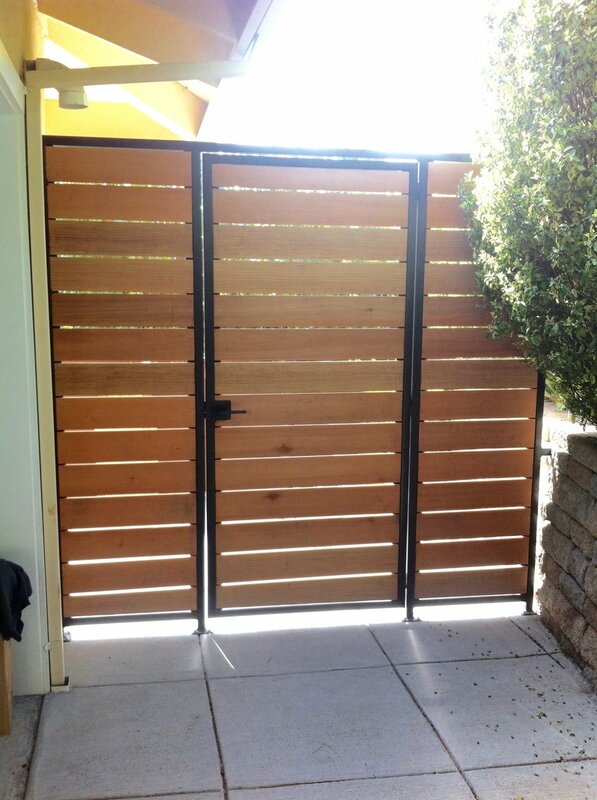 It must weather the elements summer and winter and the abuse of daily use. 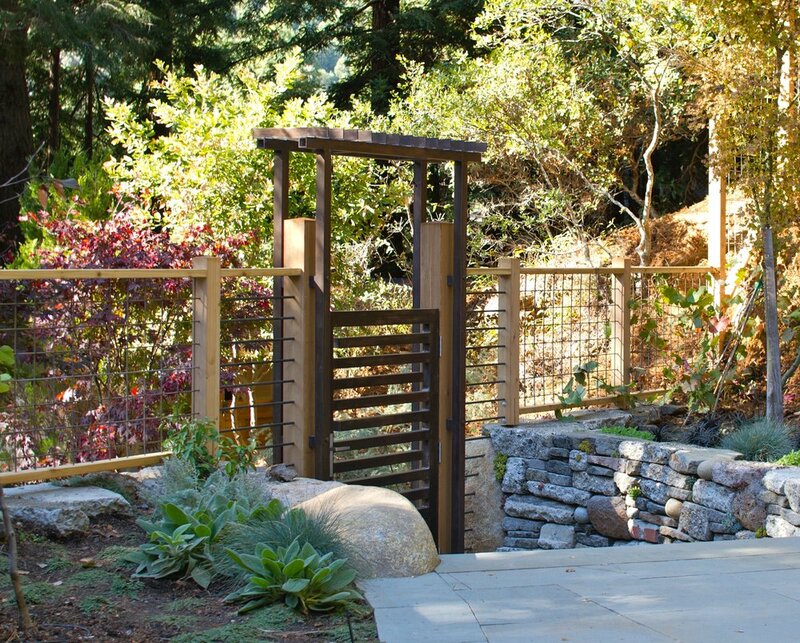 A good design that compliments the architectural aesthetic of your home creates a gate that feels like it was always there and belongs. 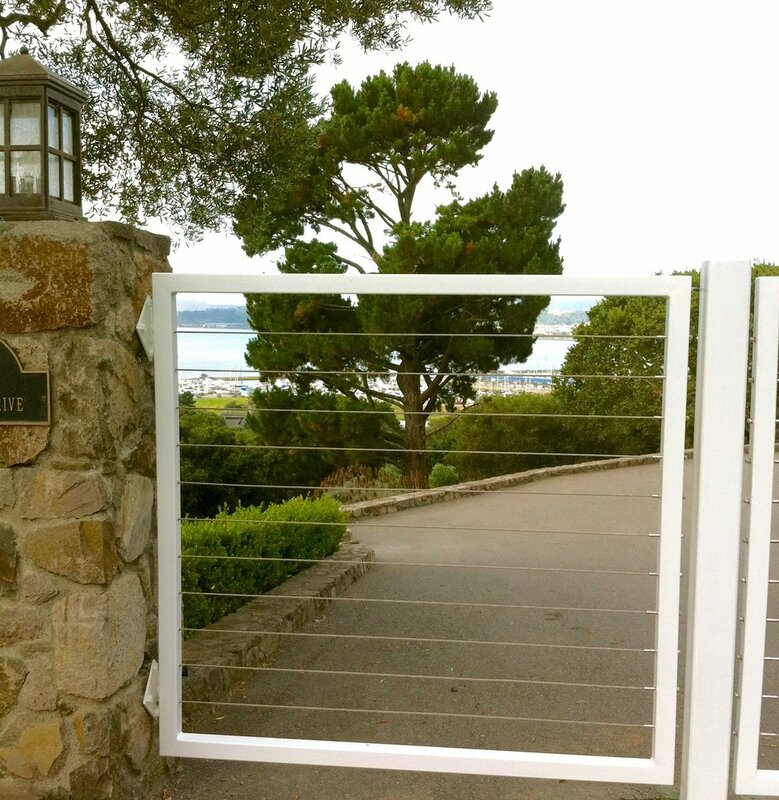 Gate hardware should be determined prior to fabrication of the gate to ensure proper function of the gate through the seasons. 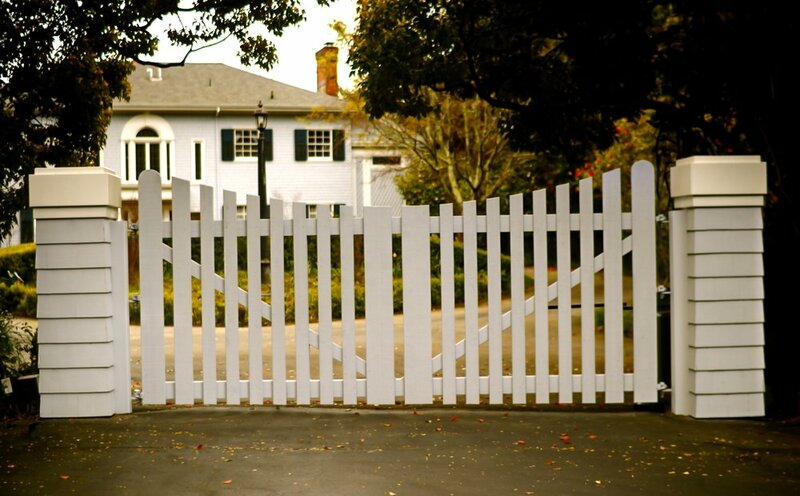 Hinge gap and latch gaps should be determined when sizing your gate. 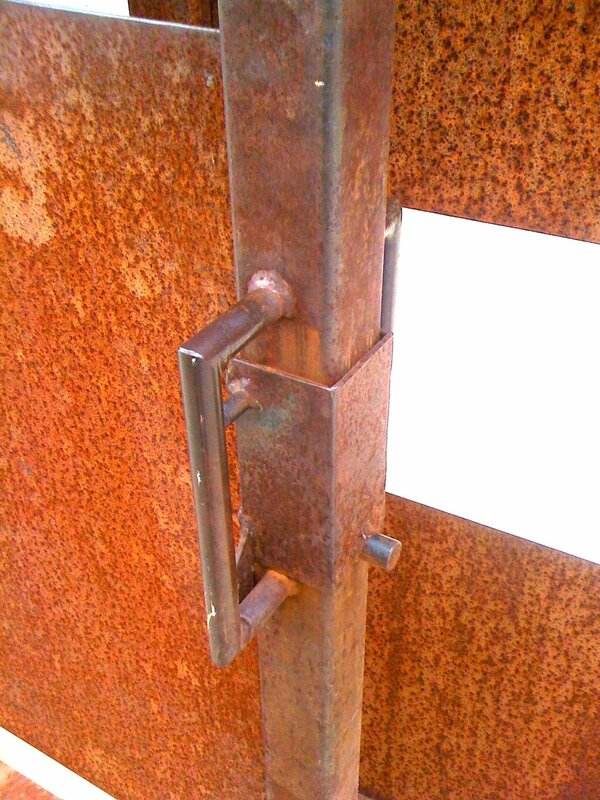 Lock boxes are welded into steel gate frames when standard door handle sets are preferred over a standard gate latch. 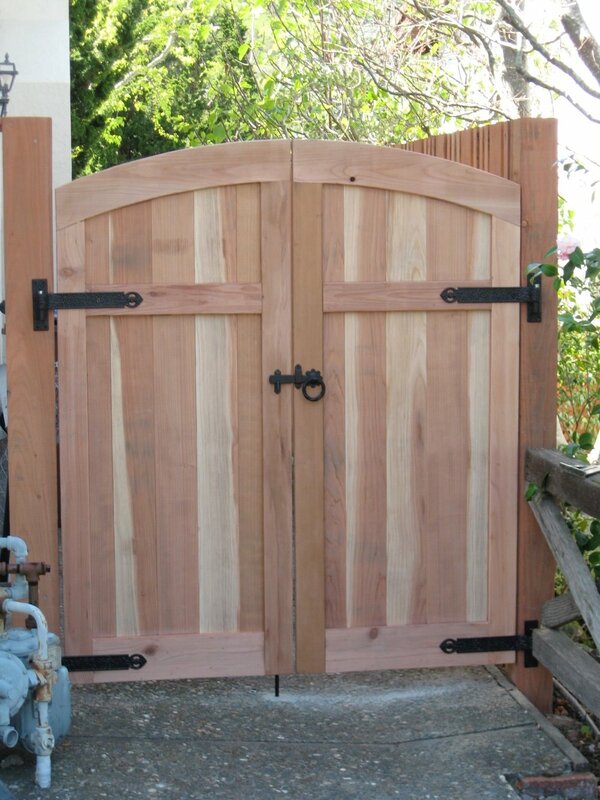 All wood gates will need a wide berth for expansion and contraction and standard door hardware should not be used. 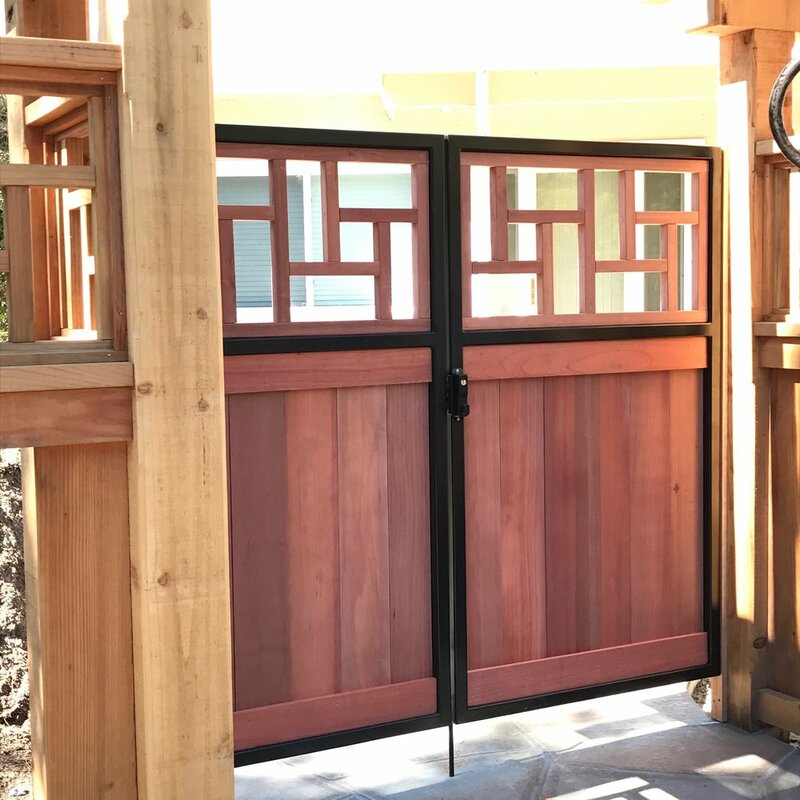 Often the solution is a combination steel frame gate with wood cladding providing the warmth of wood and the structural integrity and stability of steel.